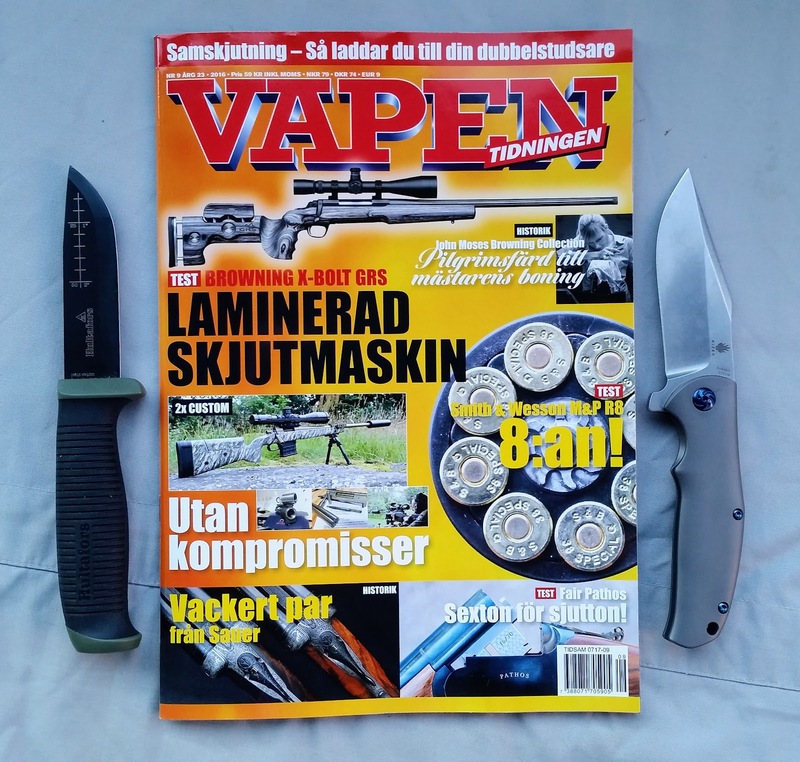 My dear colleges at the Vapentidningen have once again crafted a top notch magazine; the last issue of this year, number 9 - 2016. My contribution to this issue is a big article about Hultafors new Outdoor Knife series consisting of four different models; Outdoor Knife OK1, Outdoor Knife OK4, Ropr Knife RKR GH and Rescue Knife OKR GH. 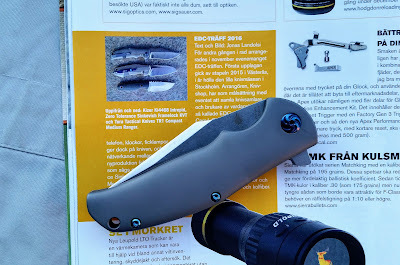 The knives are based on Hultafors' erlyer craftsman knives, but with a bigger outdoor focus.These are nice knives for different ourdoorsy activities and the model OK1 got to be the series' personal favorite of mine during the test. 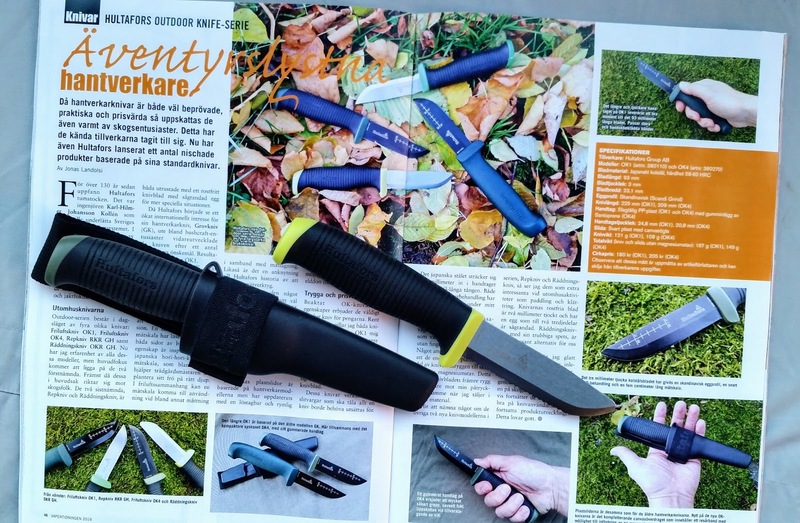 Inside the same issue you'll also find a small article from my side regarding the pleasent event EDC-träffen 2016, wish resently was arranged in Stockholm by Knivshop. Among others the folder Kizer Ki4468 Intrepid was seen at the meet and later this Spring you'll be able to read a review inside Vapentidningen on that knife. 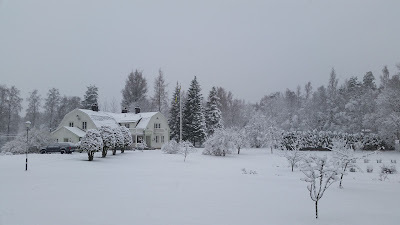 I wish you all a pieceful Lucia Holiday with lots of reading. Please let me know if you have any feedback on my articles. To also see my erlyer articles inside the Vapentidningen; click HERE.